People that know me know that I love my good food. 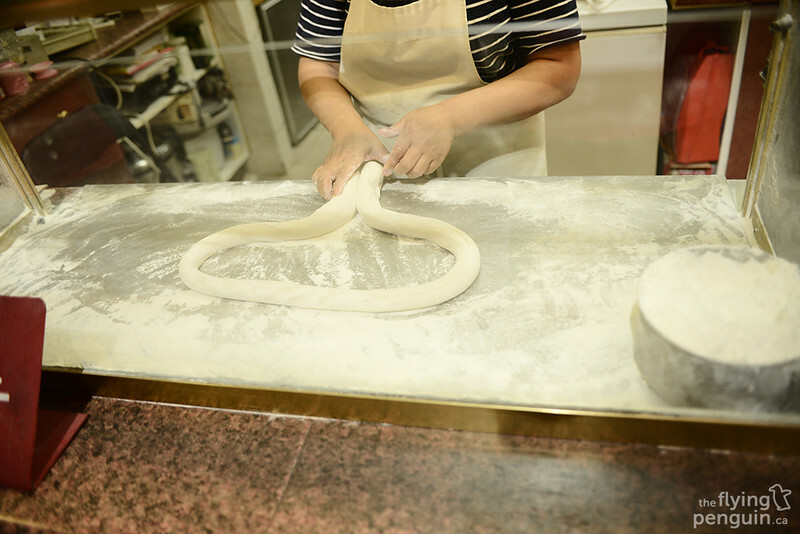 While good food is good food, I am particularly a fan of both Chinese and Japanese cuisine. 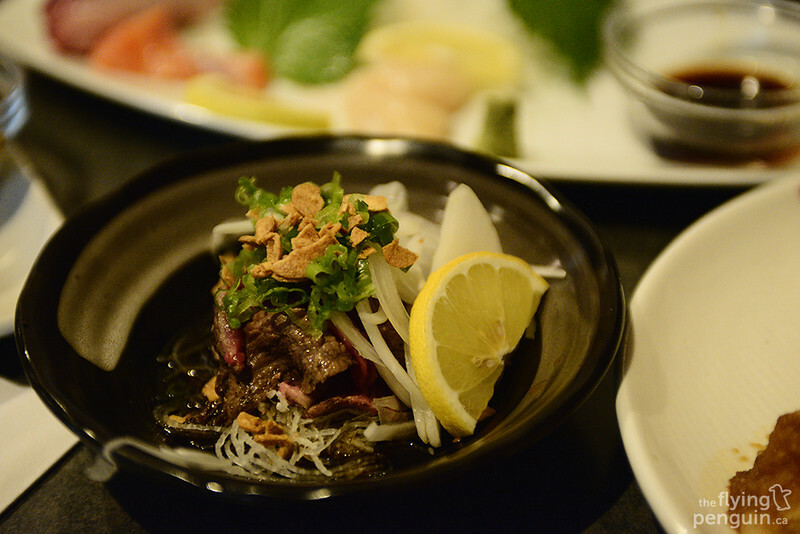 Given that I was in Vancouver a couple months ago, I just had to go around exploring for some of the best eats around town! 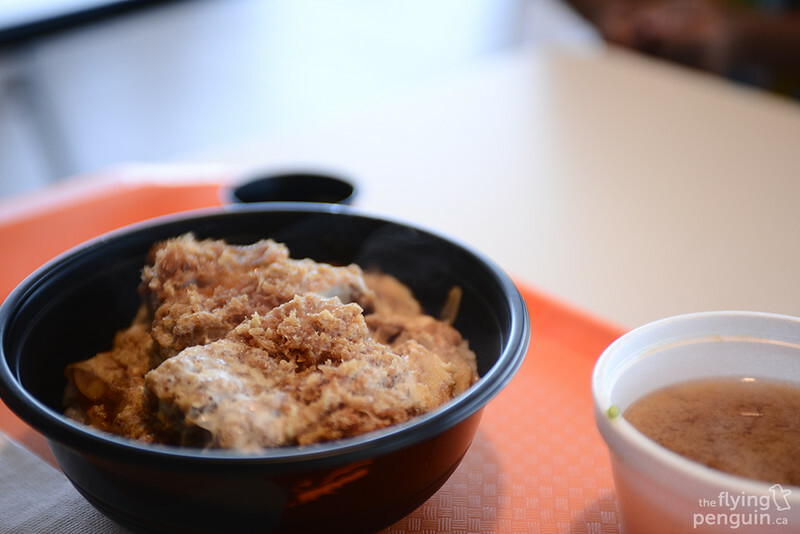 We start off with the food court located in Aberdeen Centre, full of Chinese, Japanese, as well as Korean fast food joints! 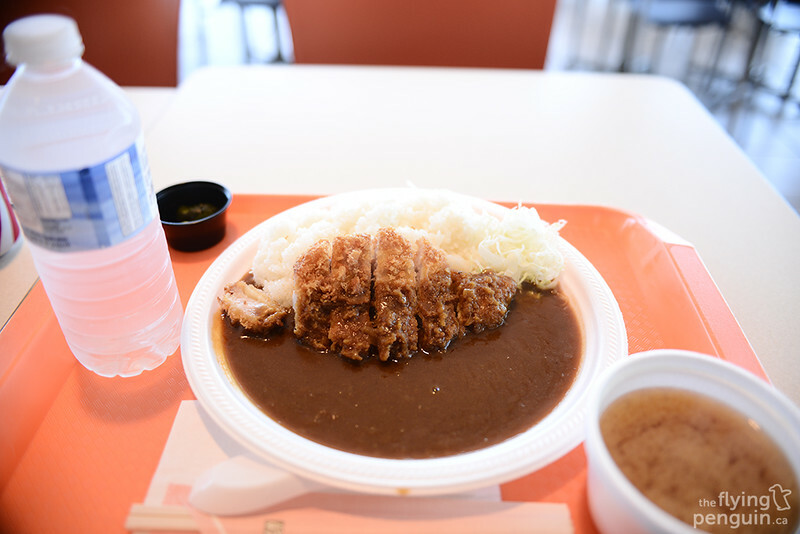 Seen here is a Tenderloin Katsu Curry from Saboten, famous in both Japan and Korea for their food; it was delicious! 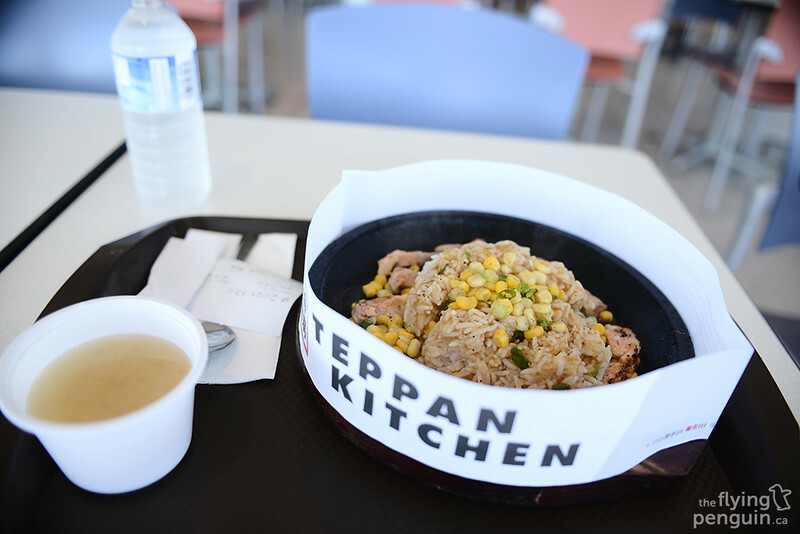 Teppan Kitchen offers an interesting selection of hot plates such as rib eye, chicken, salmon, striploin, and unagi, just to name a few options. 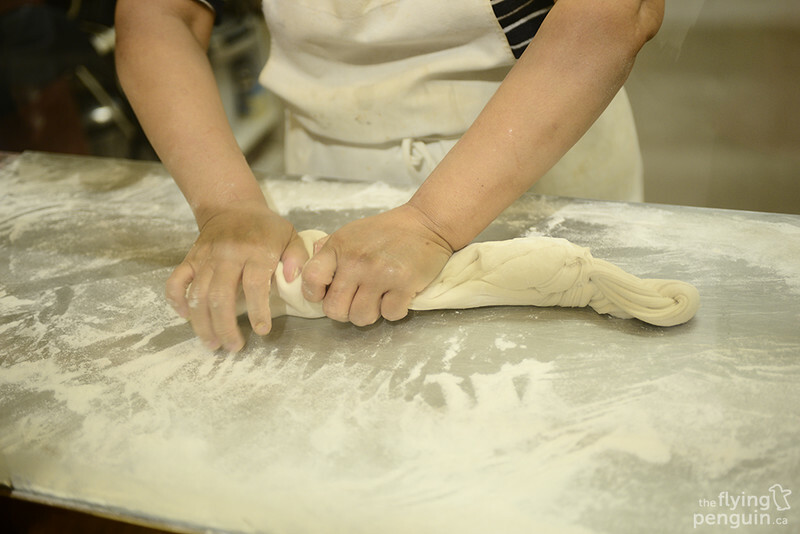 They also do linguini and fries as well! 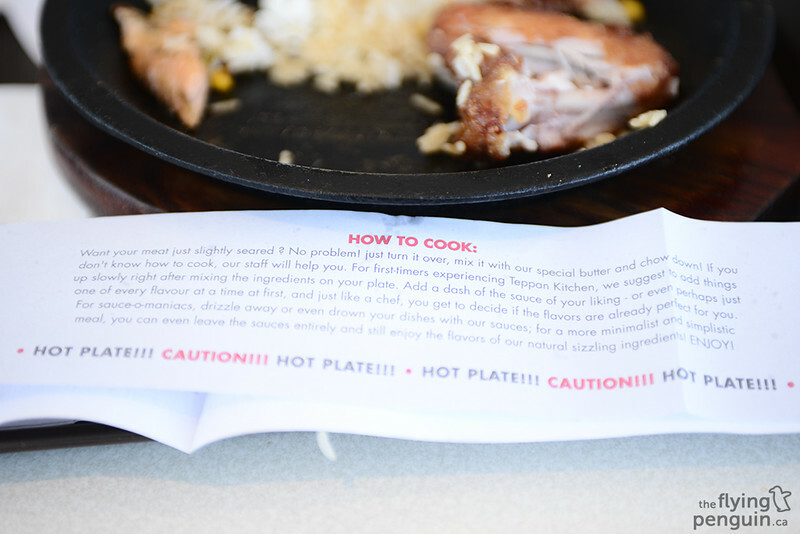 Lastly, they even provide instructions on how to go about making this yourself at home. Probably some of the largest chicken wings I have ever had in my life. 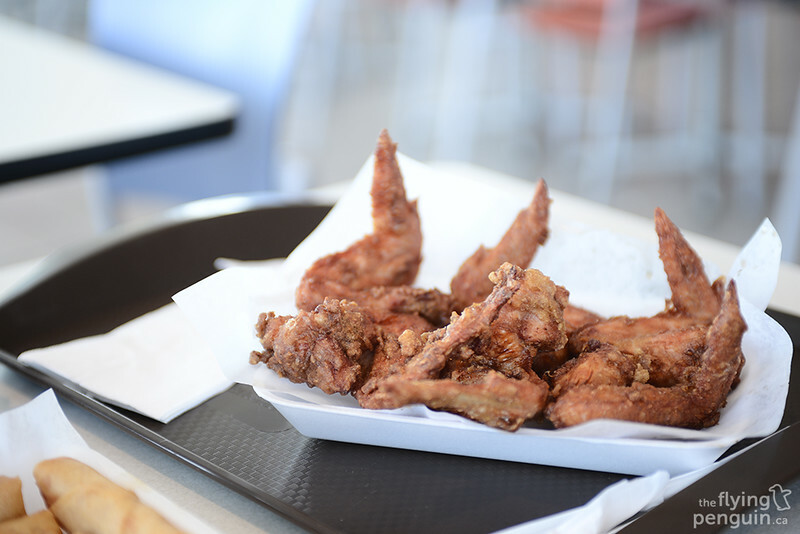 These giant chicken wings were from Wu Fung Desert! Despite this being a food court, I was very impressed. 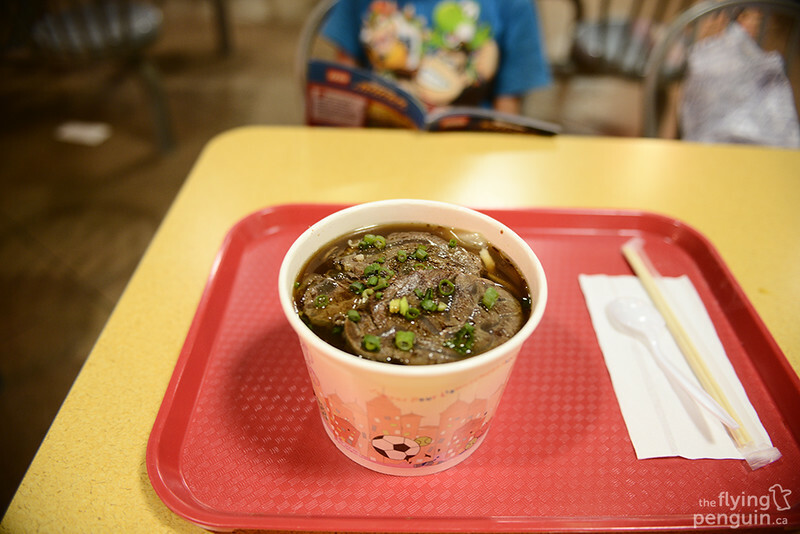 While we’re on the topic of food courts, I came across an interesting fast food Chinese place located within Crystal Mall. 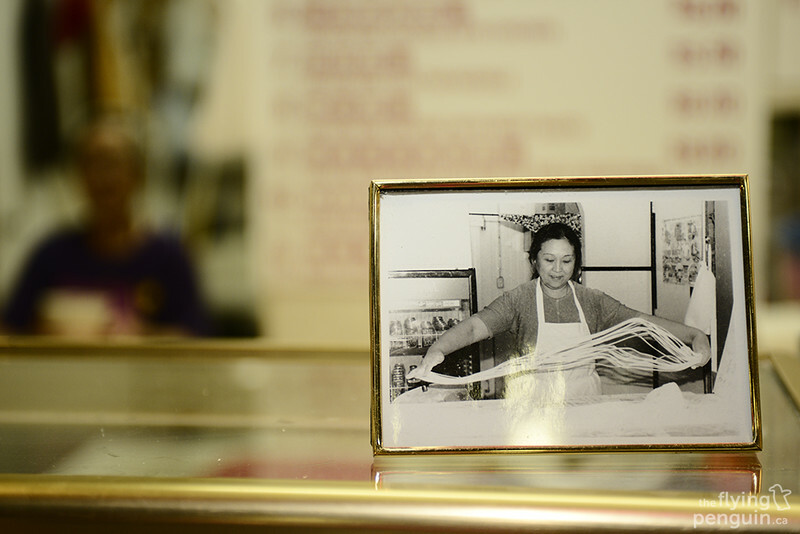 Unfortunately I didn’t get the name of this nice old lady (she spoke little English and I speak even less Mandarin!) but she’s been doing this for years. Without a doubt, this was very interesting to watch as she does it right in front of you! Now I absolutely love noodles, so I was quite looking forward to this, espescially since I had just completed the Grouse Grind earlier that day. 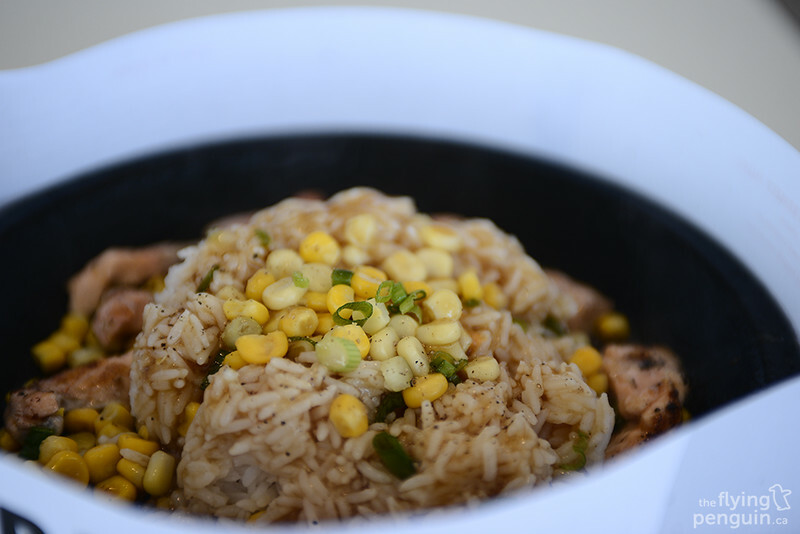 I cannot even begin to describe just how good this meal was to me. 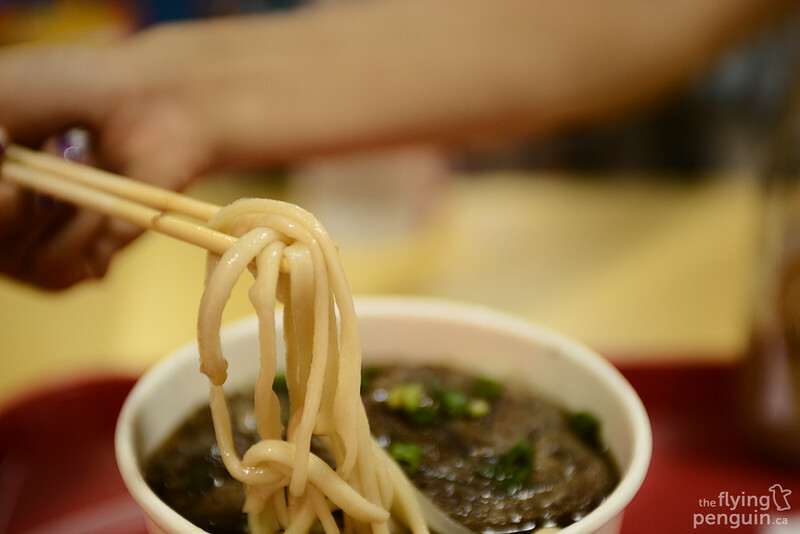 The noodles were very smooth and the beef was nice and tender, something that is apparently a rarity in BC. 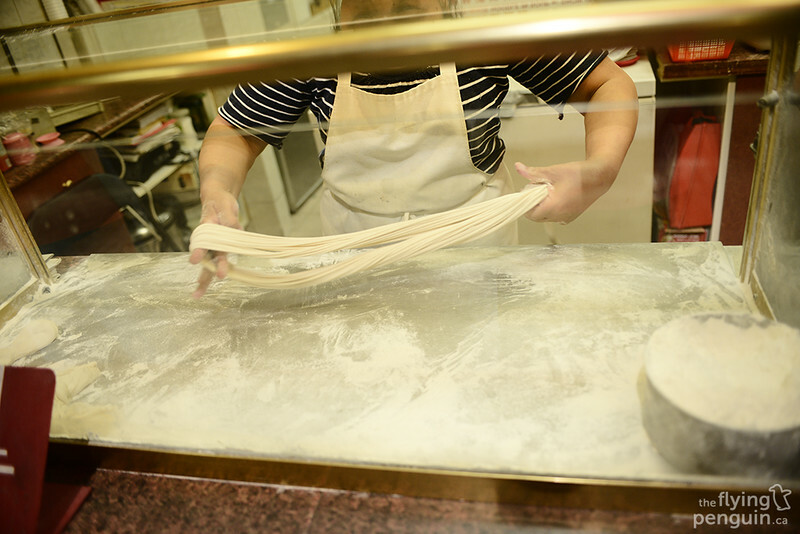 On a side note, because the noodles are hand strung, I found quite a mixture of small and large sized noodles. 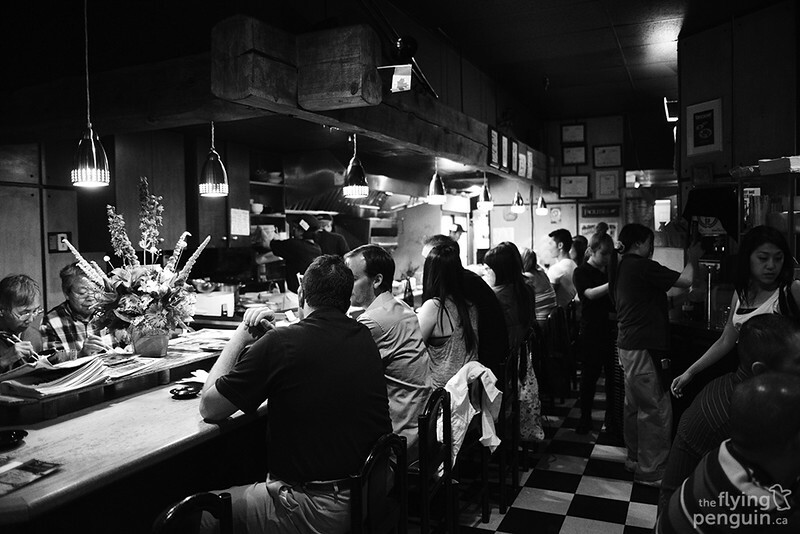 While I was quite enjoying what the food courts had to offer, I did eventually make my way to a couple well known Japanese restaurants thanks to some recommendations from my good friend Kazu (Top Chef Kazu). 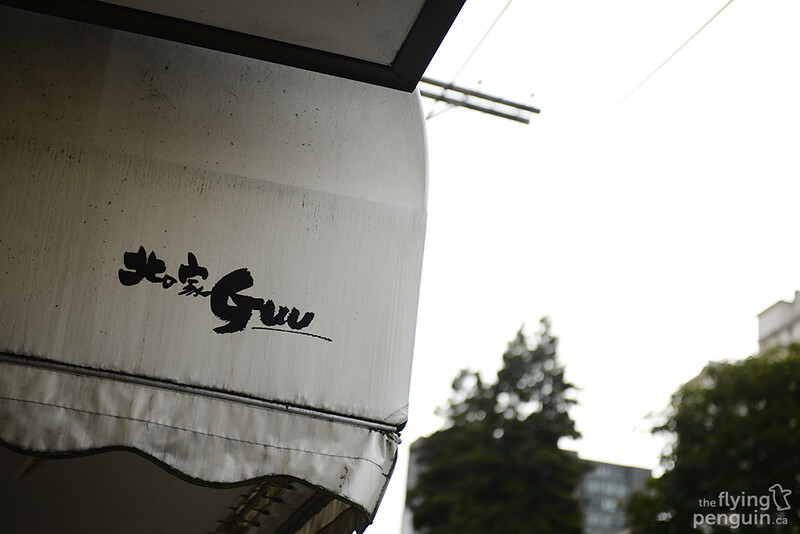 First up, Guu Izakaya in Thurlow! 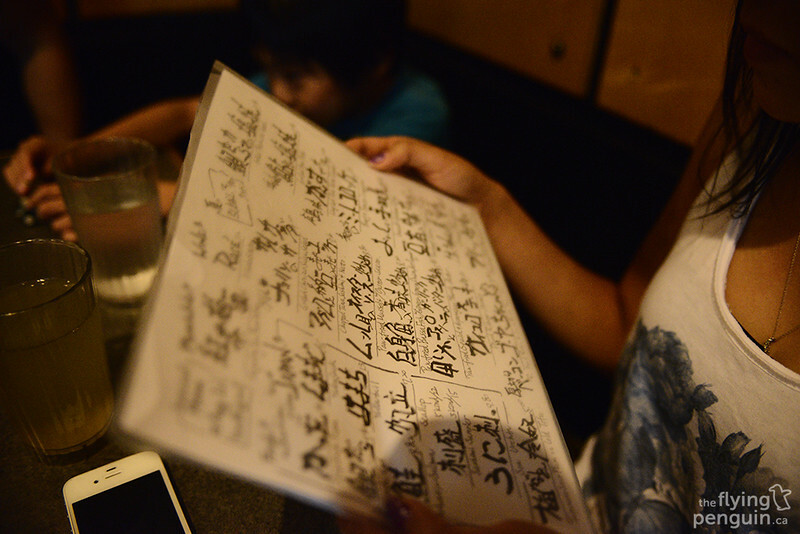 The initial menu we picked up was actually in full Japanese. “We’re screwed!” is what came to mind. 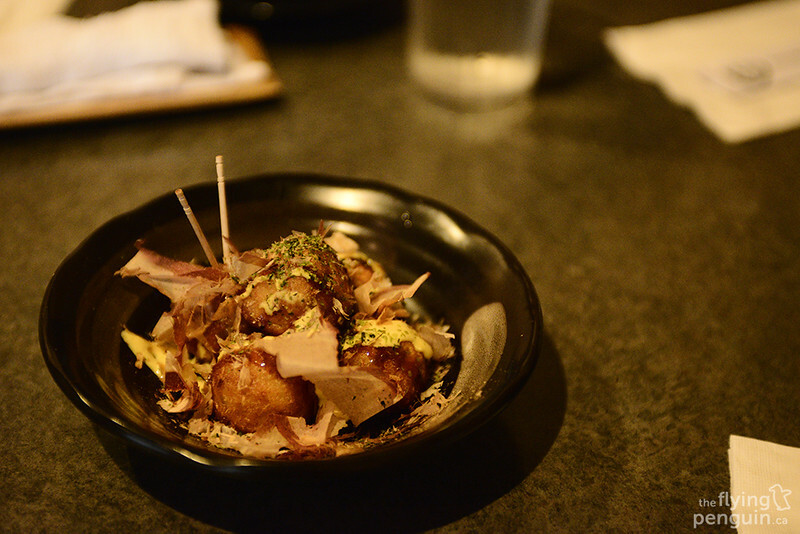 Thankfully there is an English menu, so we did manage to order a bunch of tasty items such as this takoyaki (I can’t think of any other way to describe what this is except for “octopus ball”)! 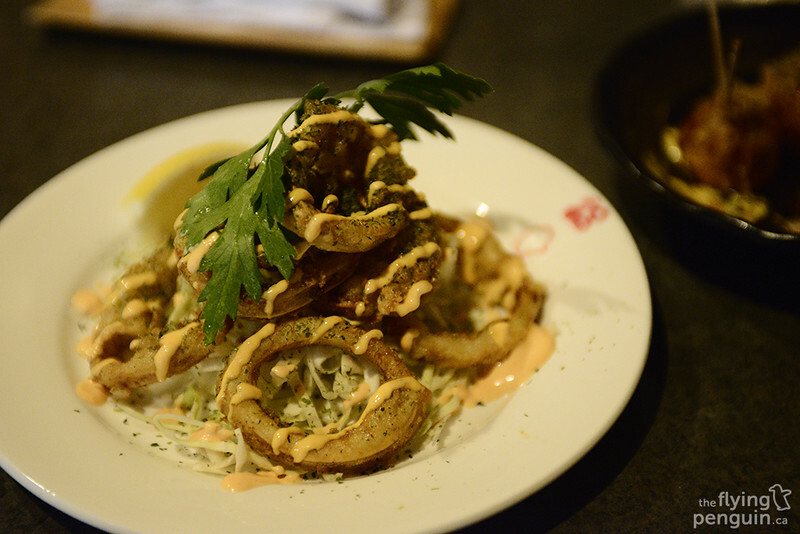 One thing to note about Guu Izakaya is that each location has a different menu and style, so you might not be able to find these spicy calamari at another location! 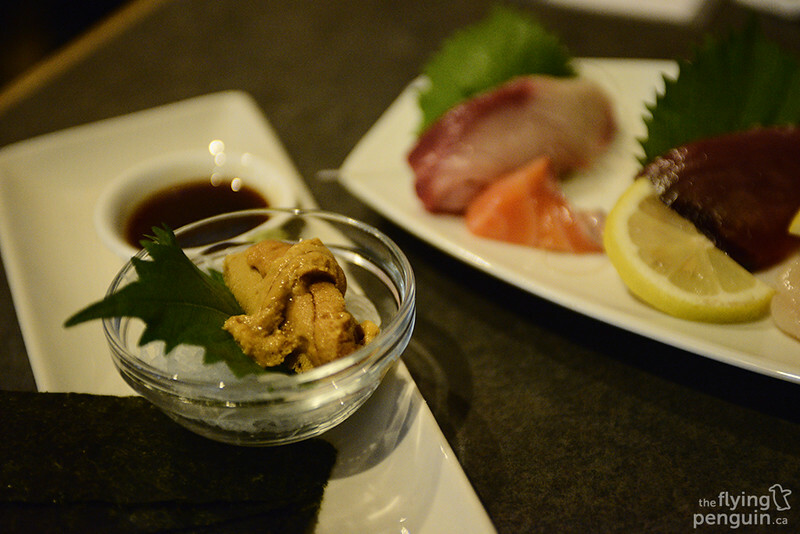 While most people don’t like uni (sea urchin) at all, but here at Guu they had quite an interesting approach towards it. You would take your uni and then wrap a piece of dry seaweed over it and eat it like a sea urchin taco. 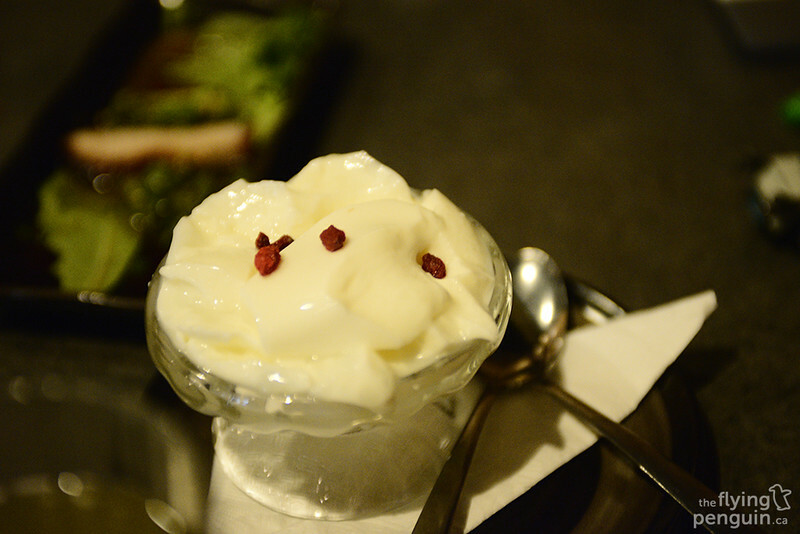 This was by far the best uni I have ever tasted! Now I’ve been told before multiple times that the beef in British Columbia is nowhere near the same quality as what we have in Alberta. “How bad could it be?” is what I thought to myself at first. I was about to find out. 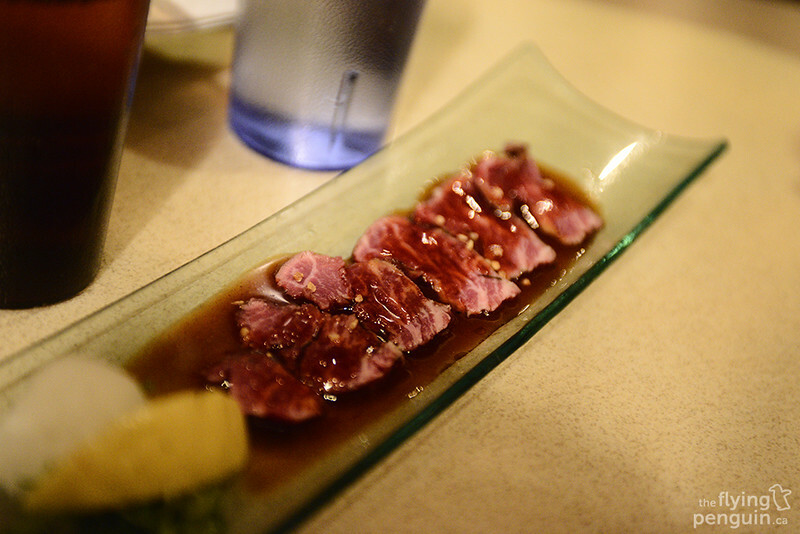 Seen here is beef tataki (lightly seared beef slices), and while it tasted just fine, it was extremely chewy. 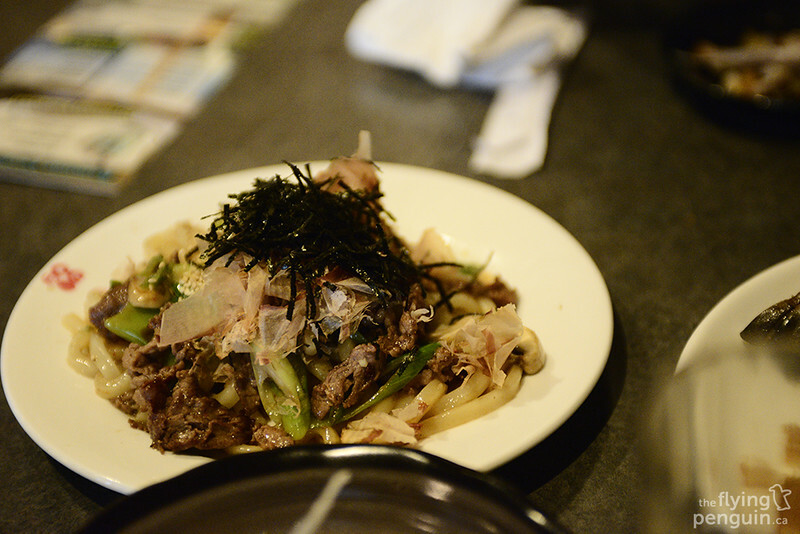 I am by no means saying that this was a bad dish or that Guu did a bad job of preparing it, but for the first time I finally understood what people meant when they say that Alberta has some of the highest quality beef around. 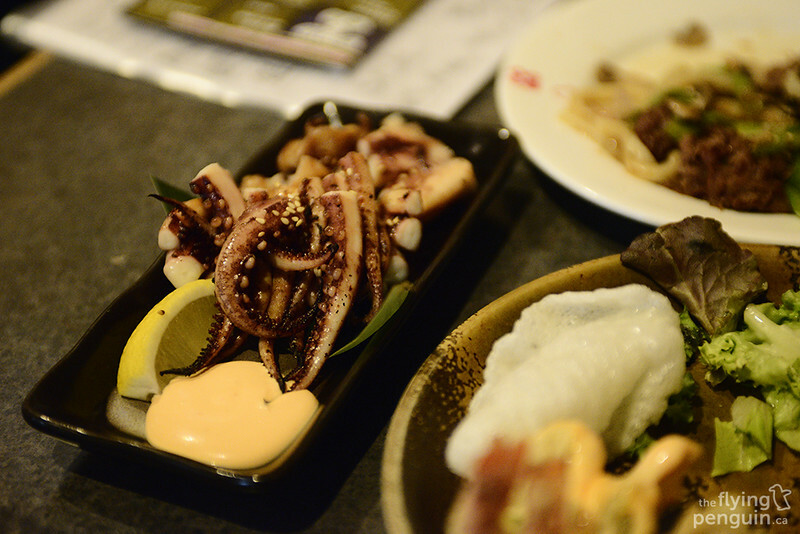 With the exception of takoyaki, I am not a big fan of eating octopus at all, but this was so well done that it was hard to resist! 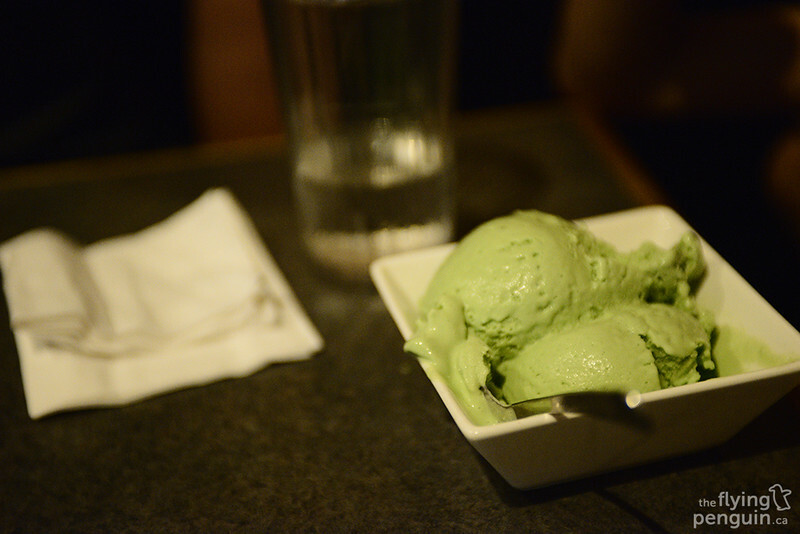 …but it was “The Smoothest Almond-Tofu” that I was excited for. They weren’t lying when they said it was smooth! 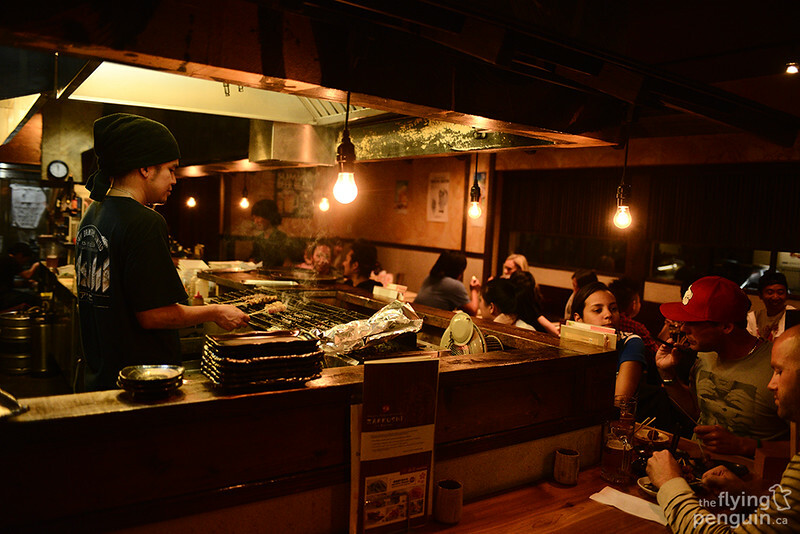 I highly recommend Guu Izakaya, but make sure you make reservations as they are always super busy! 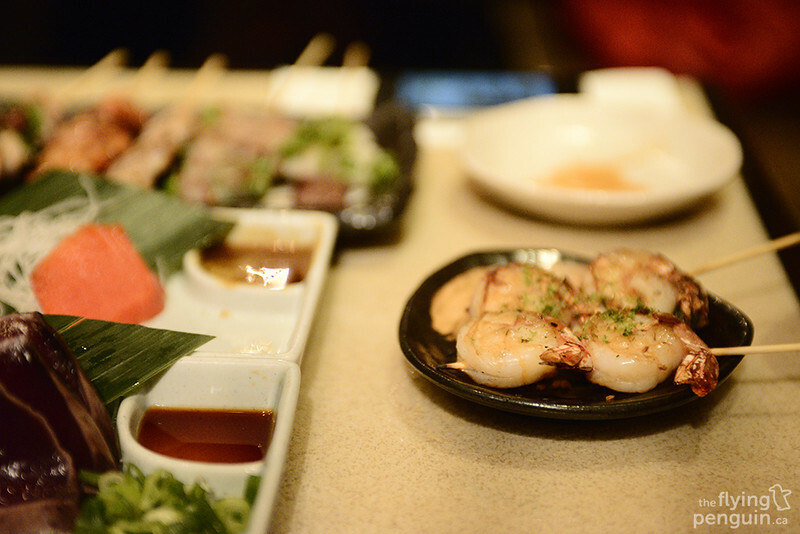 Now if you’ve ever eaten Japanese food with me, you’ll probably know that I like to leave the best for last; this being a post about food, I thought why not do the same? 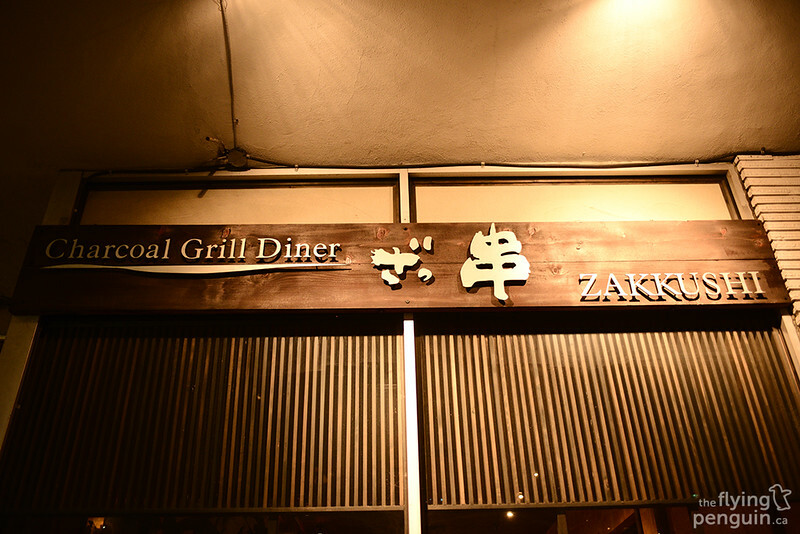 Without a doubt, my favourite restaurant that I visited was Zakkushi, known for their authentic Japanese skewers. 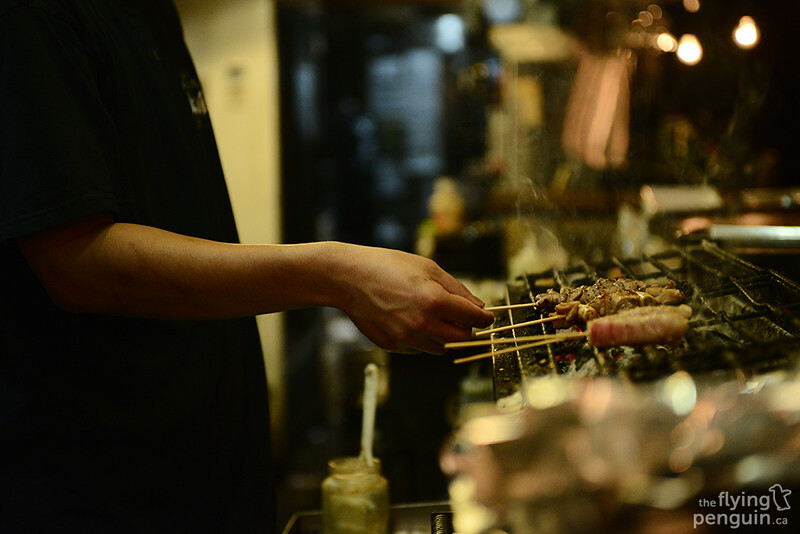 All their skewers is cooked on a charcoal grill, something that takes a lot of skill and practice as you really don’t have control over the temperature of the grill! 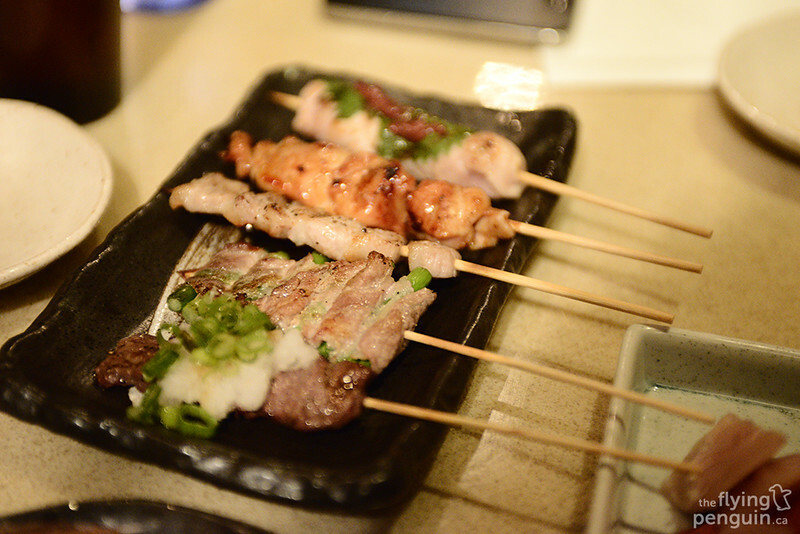 This was my first time having Japanese skewers so I was really looking forward to it. 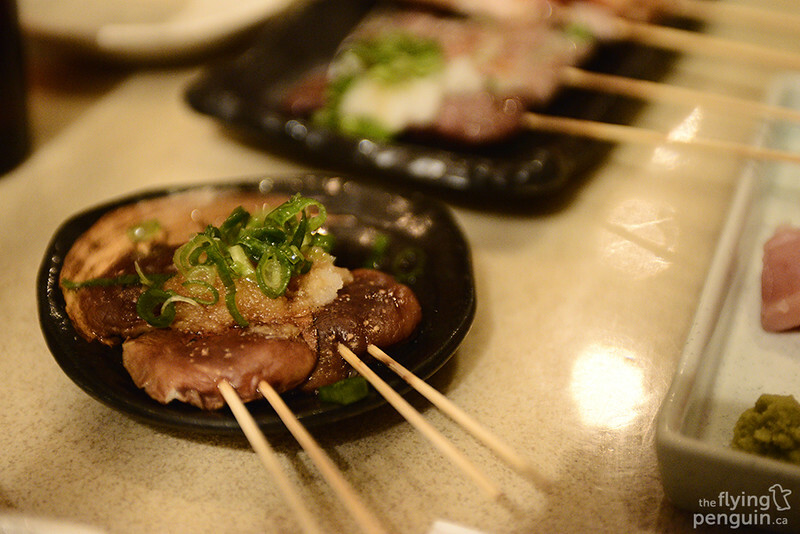 I’ve never had Shiitake mushrooms cooked on a charcoal grill before! 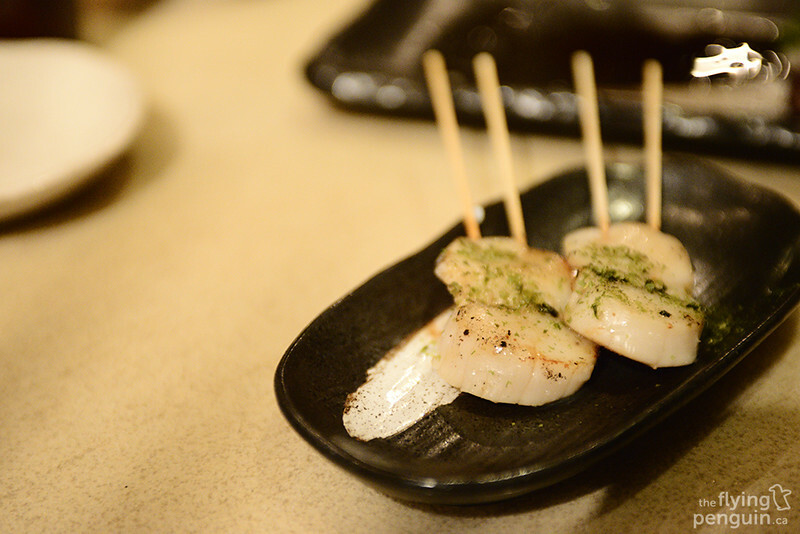 …but my favourite was definitely the scallops! 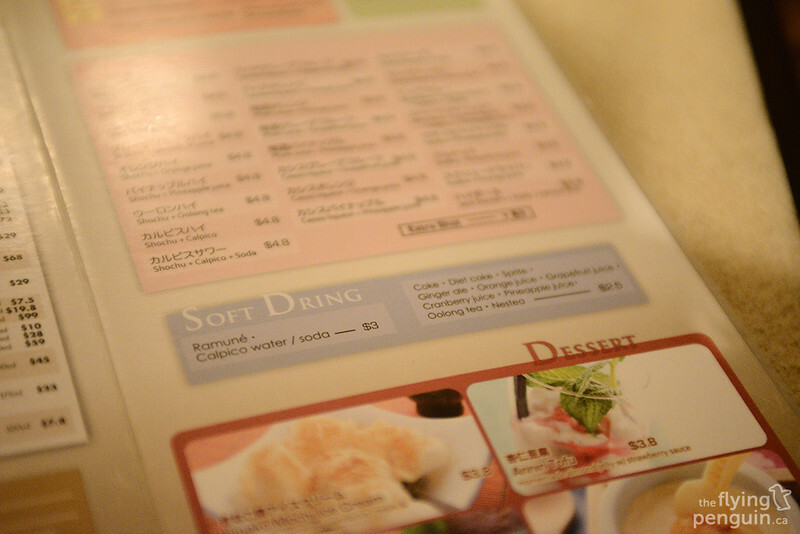 The menu itself was also probably one of the “happiest” and brightest looking menus I’ve seen in a while; it sure made me eager to order more! I couldn’t help but giggle a bit when I read this. 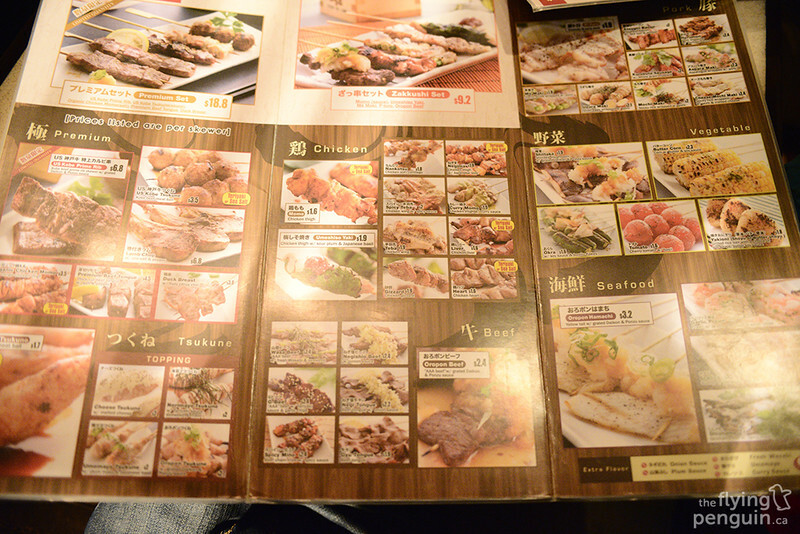 Just like at Guu Izakaya, I also ordered beef tataki here as well. As I said earlier, the quality of beef in BC is not the same as what we have in Alberta, but it was very interesting to see how the folks at Zakkushi were able to cover that up so well. 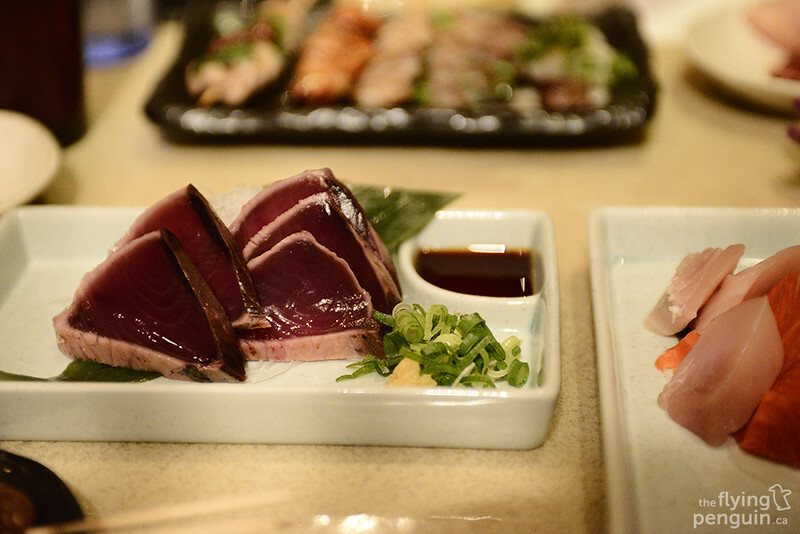 Don’t think that just because their specialty is skewers that they don’t deliver in other types of food as well; the sashimi was cold and fresh! 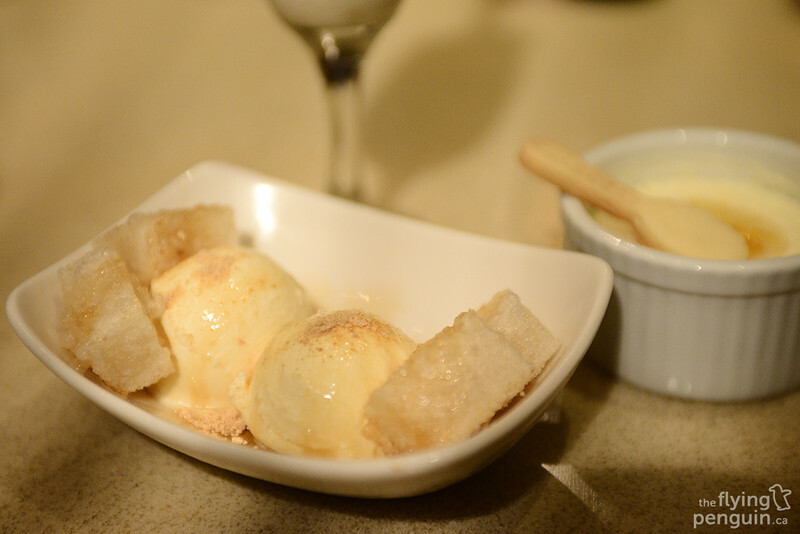 Of course we finished off once again with some vanilla ice cream joined by a few pieces of mochi! If you are in or just happening to be visiting around the Vancouver area, I highly recommend all these places that I have shown you here in this post. There are a few others restaurants that I didn’t get to visit this time around, but perhaps I will save those for some other time!